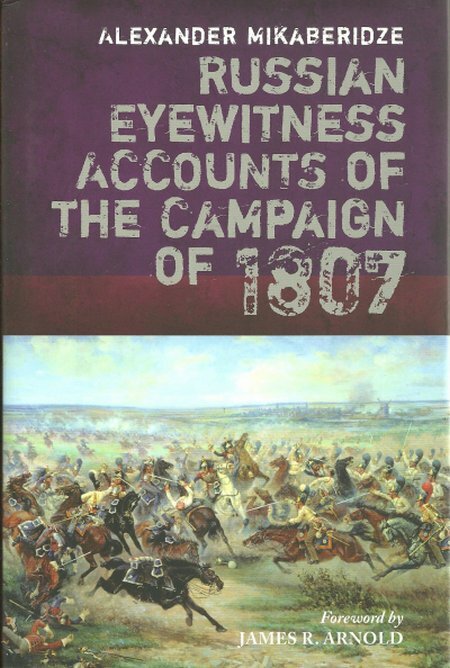 DESCRIPTION: This carefully edited collection of eyewitness accounts of the battles between the French and the Russians provides a balanced view but much of the information will be new to English-language readers. There is a fine monochrome photo-plate section which adds greatly to the content, graphically demonstrating the terrible conditions under which many battles were fought. Recommended. Napoleon built a reputation for always winning his land battles. In the process, the myth of invincibility was worth some extra divisions. As Wellington was later to observe, Napoleon triumphed by feeding in troops without much regard of the cost. This disappointed Wellington who saw it as poor generalship and one that produced a vulnerability if the enemy was still standing when all reserves had been committed. The Battle of Austerlitz has been described as a Russian/Austrian failure that presented the field to Napoleon, rather than a battle fought and won by a superior general. The young Czar was present in the Russian Army and should have shared responsibilities with his generals for poor command and incompetence, As it was, the Russian military managed to lay the blame entirely on the hapless Austrians to escape censor at home. Napoleon then had an inviting prospect of driving on through Poland and Prussia to take Russia as a further conquest. Inviting though it might have appeared, the French should have researched the situation with greater care. What may have happened is that Napoleon and his Marshals may have come to believe in the myth of their invincibility. That is something that could be debated long into the future. If it was not the main cause of their blindness, it could have just been the draw of one victory after another, where there was no real master plan of defeating and occupying the vastness of Russia. Each victory provided opportunity to pursue the routed enemy, plunder his remnants and then face the next battle. Eventually the lines of communications would be overstretched and the weakened invader would become the hunted. This collection of eyewitness accounts provides a series of inter-locking insights into the flow of battle and the terrible conditions, where weather and savagery produced some shocking losses.